Looking for some colour to brighten up these grey winter days? 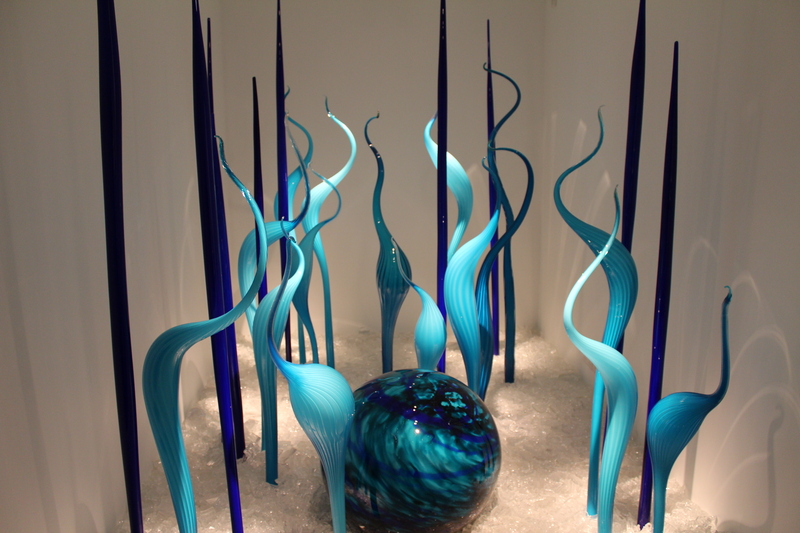 Then head to the Halcyon Gallery’s brand new flagship site at 144-146 New Bond Street for the Chihuly exhibition. 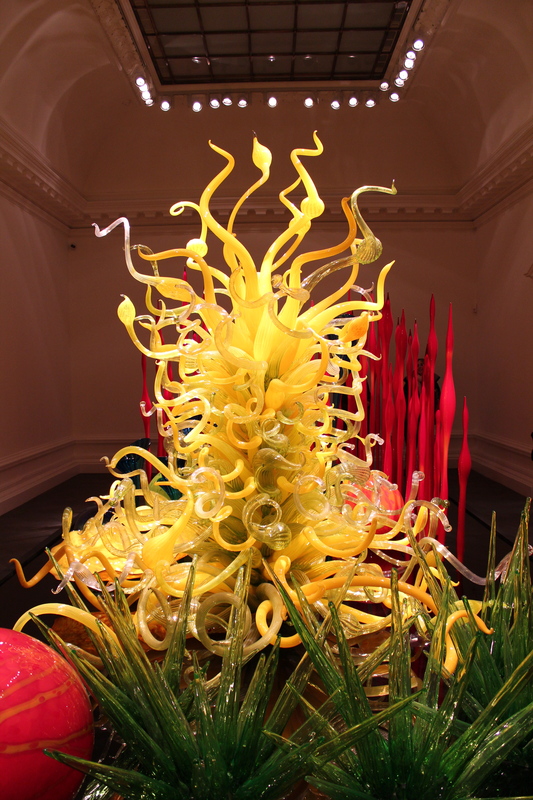 Dale Chihuly – a master American glass sculptor – is possibly best known in London today as the creator of the spectacular chandelier in the foyer of the Victoria and Albert Museum. His 2005 exhibition Gardens of Glass: Chihuly at Kew was one of the Londonphile’s all-time favourite London events. Chihuly’s pioneering work with colour and technique really does need to be seen first-hand to be fully appreciated – even the best photos cannot do it justice. The highlight of the Halcyon show is the 24-feet long Mille Fiori garden installation upstairs, which was built specifically for the space. 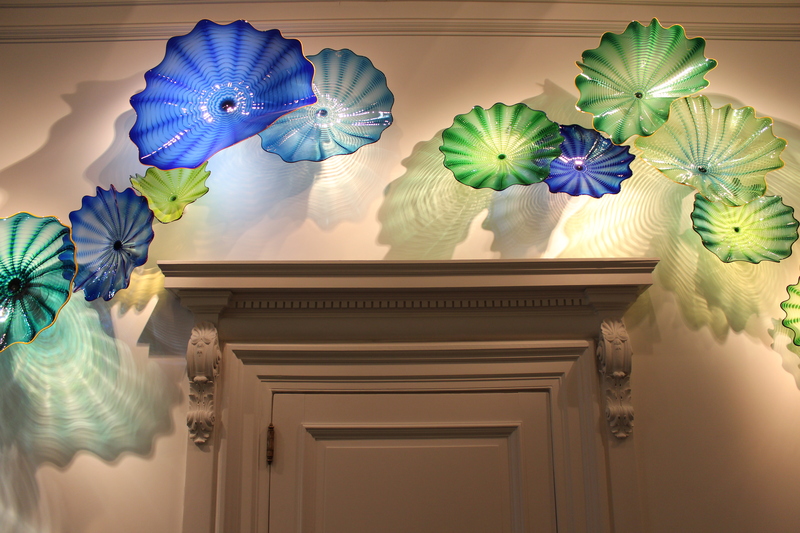 You can also see several of the aforementioned chandeliers and some of Chihuly’s trademark Macchia (plant-like giant bowls) and Seaforms (shell-like creations) on show. As always with Chihuly’s work, the clever use of light and display really sets off the pieces. This exhibition – which coincides with the fiftieth anniversary of the International Studio Glass movement – is a selling one in a pretty ritzy commercial gallery, but don’t let that put you off as everyone is made welcome here. It has now been extended again until 21 April 2012 so you have even more time in which to get yourself there; entry is free. This entry was posted in Art, Galleries and tagged Chihuly, Dale Chihuly, glass art, Halcyon Gallery, London exhibitions by thelondonphile. Bookmark the permalink.